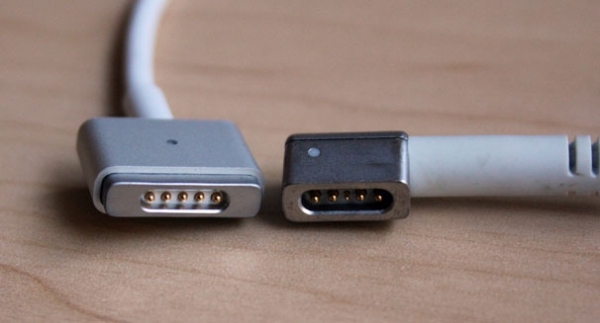 "It's been more than six years since Apple first introduced MagSafe, the magnetically-attaching power connectors used by all of the company's laptops. Well, almost all." Bit of a different plug for the next generation MacBook Pro with the Retina Display, as well as the new MacBook Air. The MBA uses a 45W MagSafe 2 while the Pro uses the 85W version. But no worries if you want to keep your old one as you can pick up one of these adapters that converts the old to the new. And it's only $10.00 USD.